Nestled peacefully off the A3 near Portsmouth, Longmoor offers some of the best urban gaming environments in the entirety of England. The DA’s have been itching to play here and see if the skills we have learned at our home site of Electrowerkz translate well to a full FIBUA scenario. Events leader Andy quickly booked us a few places and we were in. Now, I don’t know about you, but I hate getting up early. I especially hate getting up early on Sundays and as for getting up at 5am on a Sunday to drive around the sodding M25… well… I struggle to find words to describe the feelings. Lucky for me I was kept awake by the ever cheerful and effervescent Trip (DA player and my good mate). I knew this was going to be a game to remember when the DA’s leader, Lex, rang me up and asked how many pyrotechnic stun grenades I wanted as he and the rest of the team were taking 10 each! Anyway, we pull in to the base past the fat security guard and cruise up to take a look at the site. Longmoor is huge and varied. 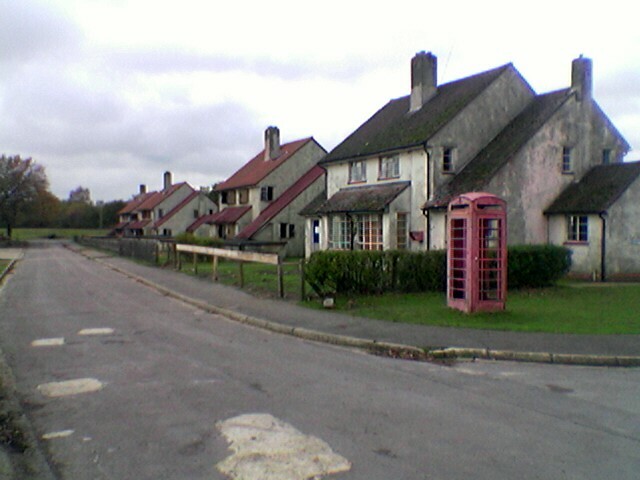 They have three rows of two story houses (complete with phone box!) 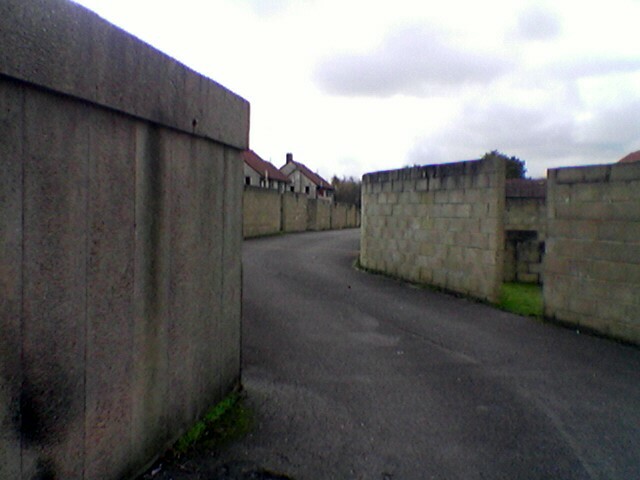 leading up to a train track and bridge as well as bombed out shells of buildings and rubble zones. There is also a tunnel complex running under the entire site from one side to the other. 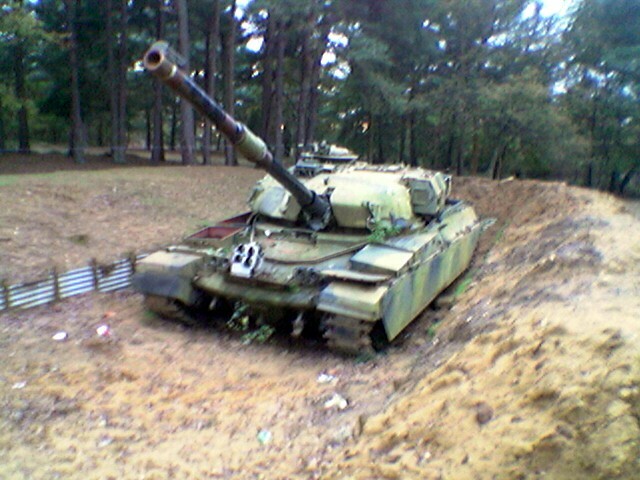 Others features are lots of surrounding dense woodland and old tanks dotted around the place. Basically, airsoft heaven. Basho’s new Guarder SWAT Vest! NICE! Ambush Adventures had setup a small encampment around an old house and we pushed aside the throng of airsofters to find a spot to set up our equipment. They had asked teams to turn up in either Black (SWAT) or Desert uniforms in order to mark the sides without the need to use armbands and this was followed by most of the attendees. However, some people will not go to an event in anything but DPM so they were lumped in with the SWATS and I could see that we were talking about roughly 40 a side games. With such numbers the organisation had to be good, and it was. 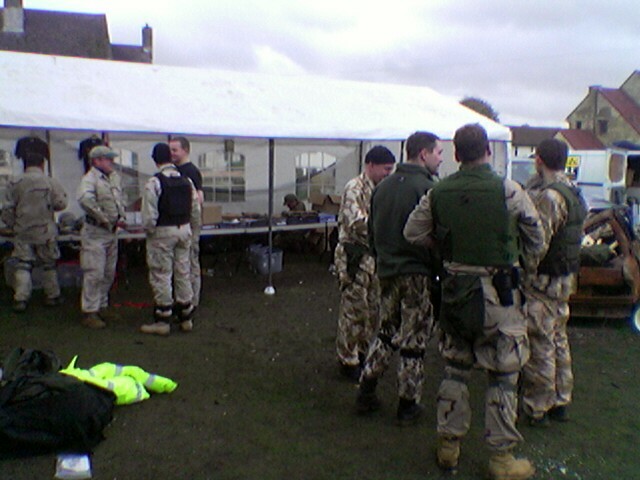 There were plenty of marshals and from the names of some of the teams I saw there was a lot of airsoft experience on the player’s side too. 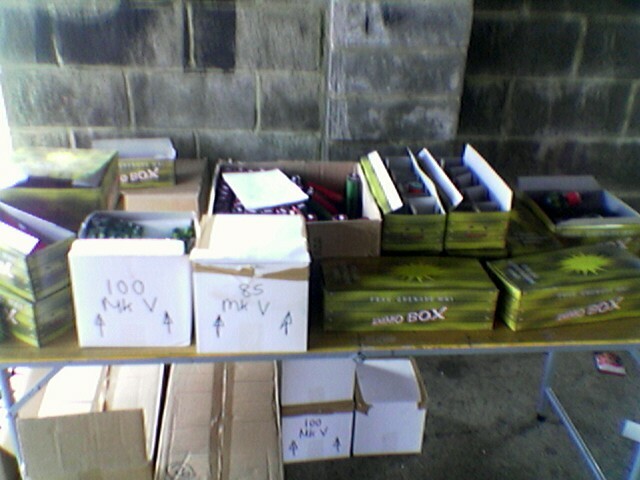 In the camp there were 3 shop stalls selling pyros, general airsoft kit/guns, and boots. As well as a BBQ setup selling food and drink. 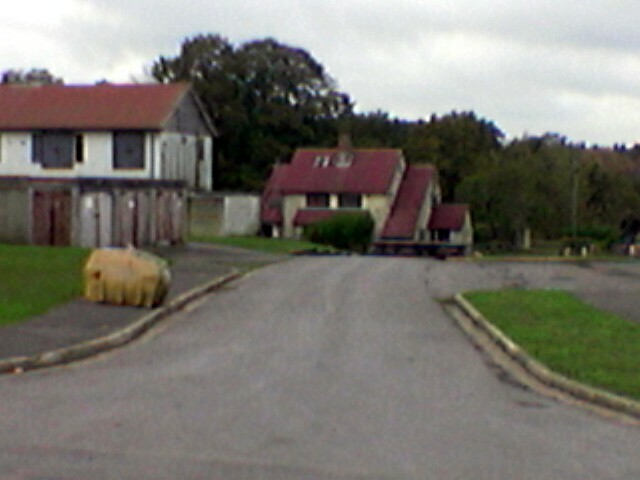 Quickly I felt the real feeling of the Longmoor site in play. No wonder the real MOD teams train here. 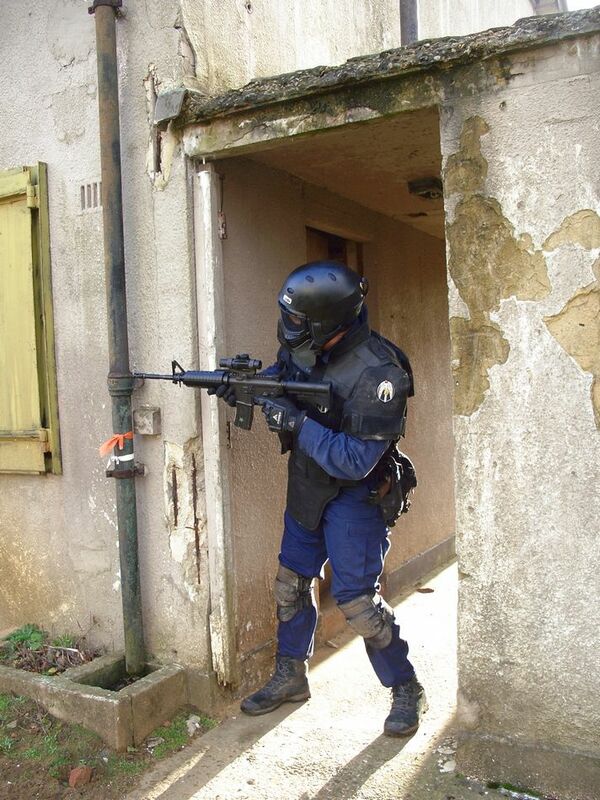 Every area and house has multiple entries and exits and every room can be shot from distance. 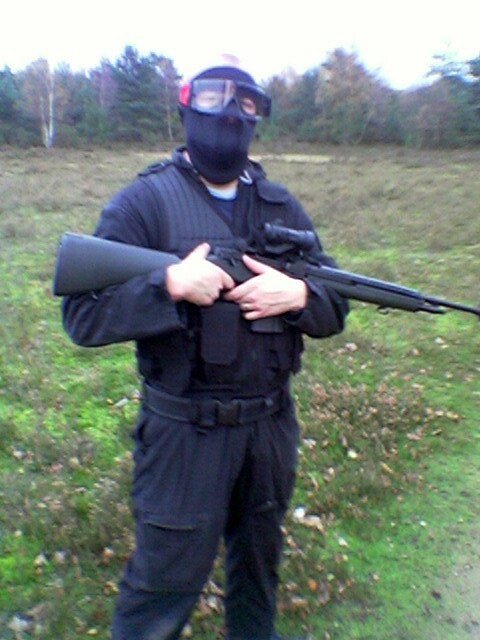 Range was at one moment the maximum for airsoft guns and the next down to the minimum possible distance allowable. Pyros were not only used but positively encouraged and soon all manner of explosions and smoke billowed out the windows and doors. Battle was fierce. Very fierce. There was plenty of ammo to go around and it was being sprayed everywhere. I personally shot two whole bags of BB’s and I am not known for being a sprayer. God knows what Lex shot. Guns were very varied and I saw snipers, shotguns, M4’s, M14’s (lots of these), M60’s, MP5’s of all types and a few custom guns. 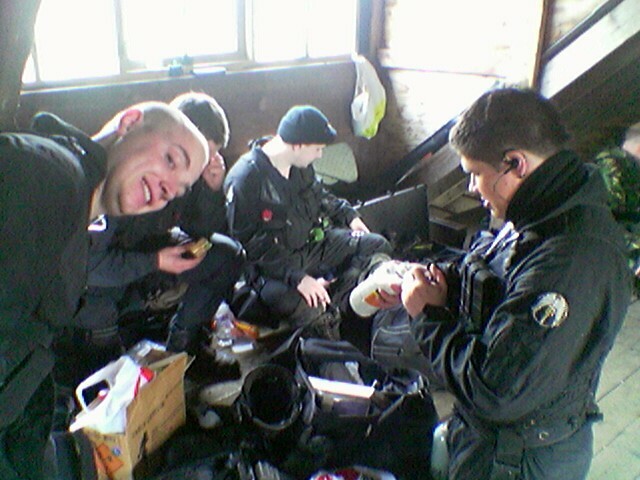 Again: airsoft heaven. The buildings threw up all sorts of interesting scenarios as we had to fight around and over walls, through holes inside rooms, across sniper spots, up and down stairs, over patches of ground and around small cover. Tactics started off very good and only after tiredness settled on us, and we were many hours in, did we relax the battle plans a little. The games ebbed and flowed and I personally had a ton of fun. The whole thing felt far more realistic than some other sites. 1. Flanking the entire OpFor front line and taking out about 7 guys in two seconds. 2. Getting behind the enemy line and pistoling a guy armed with a 400 fps shotgun as well as his mate. 3. Taking out a nasty sniper by sneaking up the stairs and putting my gun in his back and yelling “bang!”, then taking his position and bagging OpFor players one after another for ten minutes. 4. Working with my friends and simply out firing the enemy. 5. Trip lobbing pryos (you have to be there – he giggles like a school boy). 6. Stopping for the Rememberance Sunday two minutes silence in the middle of battle (very WW1). 7. Almost getting killed falling down an open hole down to the tunnels (I wasnt watching and naturally stepped over it) phew! 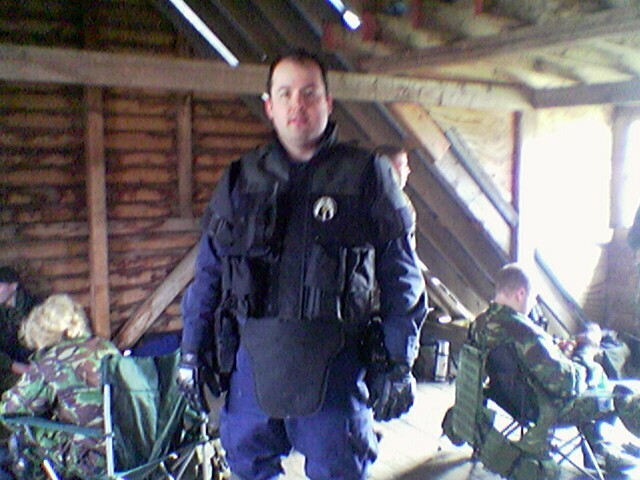 The OpFor gave every bit as good as we did and I think by the end it was an even split and tie for first place. 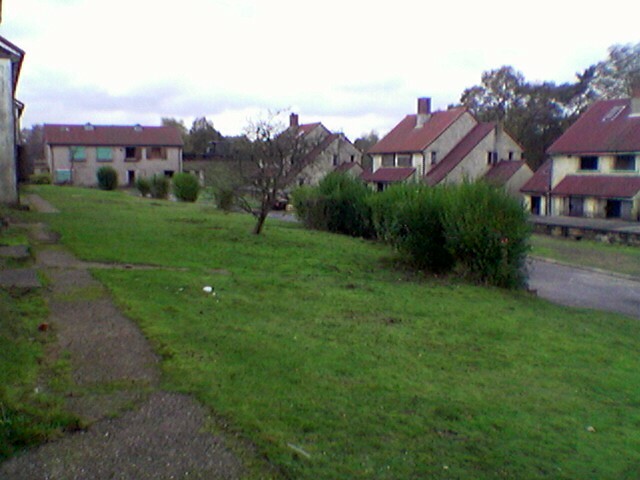 which is situated deep within the woodland at the north of the camp. The desert group had infinite regens and simply had to attack the tank and take it over. Once they had taken the tank they could shoot the bridge. The bridge. With a rocket. What would happen? Well, click the image to find out! The OpFor played excellently in this game by flanking us and rushing the tank nest very quickly. The explosions were amazing and an excellent way to end a very full days play. Over all I saw hardly any cheating and, a few little shouts aside, I think everyone played brilliantly on both sides. Us DA’s gave a good account of ourselves and I hope we use this as a learning experience to go onwards!